A journey of friendship, defiance and a quest for the perfect G&T. Sometimes the search for the perfect G&T can lead you to all sorts of places. The Beach, The Retirement home or even the bar. Olive is a larger than life, gin loving, sea dipping elder who is persuaded by her son to move into a retirement home and despite beileveing he had it wrong, maybe Olive has found the key to an easy life after all - she doesn't have to cook, clean or wash up and has a wonderful view of the coastline. The only downside is she can't visit her beloved beach hut - that has never stopped Olive though, she is already working out the best way to get down to the beach for her gin ( a woman after my own heart ) With the help of her new found friends it isn't long before more than Olive want in on the action. What starts as something small for a bit of fun leads us into all sorts of situations. 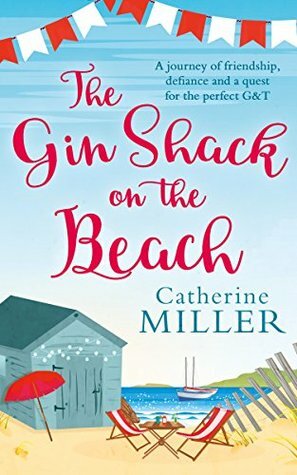 The Gin Shack On The Beach is a full of life and zesty read perfect whilst sampling a G&T. Olive is a wonderful character - alot older than the MC i usually read about but had me laughing out loud, she is the sort of woman that everyone wants to be friends with no matter what the age. She has a wonderful group of friends around her, each as mischievous as the others. Her son however was a different kettle of fish, and i felt for a while he was cold, selfish and beileved his mum was past it - yet as i spent time getting to know him my feelings changed, i think he just hadn't spent time learning about his mum instead just focusing on what he felt was right and wrong. Matron was a whole other ballpark and if i start my thoughts on her ill never finish. I would whole heartily recommend a visit to the Gin Shack and i cannot wait to stop by for Christmas. When Catherine Miller became a mum to twins, she decided her hands weren't full enough so wrote a novel with every spare moment she managed to find. 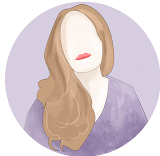 By the time the twins were two, Catherine had a two-book deal with Carina UK. There is a possibility she has aged remarkably in that time. Her debut novel, Waiting For You, came out in March 2016, and her latest, All That is Left of Us, is out now.